Ray Kroc once said, “If we are going to go anywhere, we’ve got to have talent. 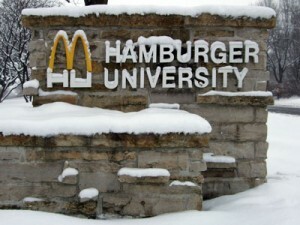 And, I’m going to put my money in talent.” McDonald’s Hamburger University graduates about 5,000 people per year. Training is recognized as essential in many areas of chain store operations. The National Restaurant Association conducted its one millionth training class last month. The NRA has been running its ServSafe Food Safety, ServSafe Alcohol, ProStart curriculum, ManageFirst, and other programs for the last 25 years. (http://www.restaurant.org/pressroom/pressrelease/?ID=2137). But what about training in real estate planning and site selection? I’ve been working with the nation’s top retailers, restaurants, and service companies for nearly 20 years, and I haven’t seen a lot of formal training. There are a lot of very good people doing some very good things; but most of them figured it out on their own or learned by watching others on the job. Many have obtained college degrees in geography or other technical disciplines, but the nuts and bolts of GIS, database management, statistics, and field research have come to them by way of self-study, passion, and the good fortune of finding a skilled mentor with enough time to spend with them. The real estate game is getting tougher all the time. Most markets are overbuilt with chain stores and the consumer isn’t going to pull us out of the soft economy this time. The internet has changed the recipe for the customer experience to include ecommerce, cobranding, and social media so that “bricks and mortar is not the only menu item for growing sales (see http://en.wikipedia.org/wiki/Omni-channel_Retailing). Site evaluation is still based on demographics, site characteristics, retail synergy, and competition. However, a “shotgun” approach to building out a store network is no longer acceptable because the cost of mistakes can’t be hidden in a pile of profits from successful development. The pile just isn’t big enough anymore. The talent is available and the people who can deliver profitable chain stores in the years to come are ready for action. They simply need to learn the new game, be outfitted with the new tools, and be directed by inspired executives who promote teamwork and discipline (sounds like a pitch from the US Marines!). What exactly is the new game? What are the new tools? What does teamwork and discipline look like going forward? 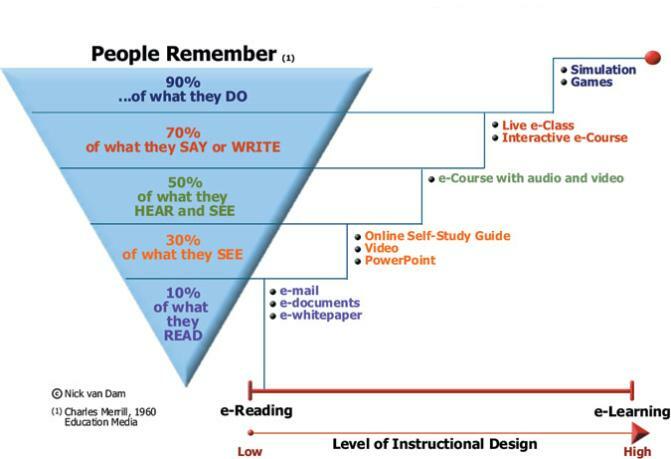 How will everyone gain the required knowledge and learn the new methods of doing things in the form of classroom, elearning, and on the job training? I have some ideas based on my work with companies who have been successfully adapting to the “more with less” and “omnichannel” trends for years. However, I want some really specific examples, so during the next few weeks I’m going to be talking to executives, analysts, and dealmakers to get some of their stories and ideas on these topics. I’ll be reporting what I learn through this blog and I hope to create an interactive discussion with your comments. I will also take the hottest topics to other social media such as Linkedin groups, Twitter, and maybe even Facebook. I think Ray Kroc and Ben Franklin would approve of this effort. We spend a lot of money on talent; it makes sense to get the most out of that investment. This entry was posted in Learning and tagged chain store, franchise training, hamburger university, real estate training, site selection by Jim Stone. Bookmark the permalink.